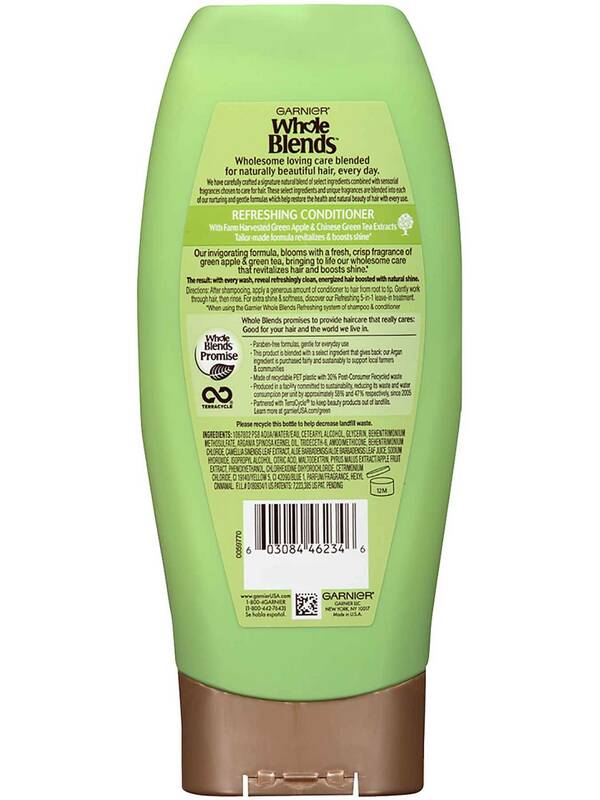 After shampooing, apply a generous amount of conditioner to hair from root to tip. Gently work through hair, then rinse. For extra shine & softness, discover our Refreshing 5-in-1 leave-in treatment. Rated 5 out of 5 by arl81118 from Amazing Scent I’ve been using the Green Apple and Green Tea shampoo and conditioner for some time now. I absolutely LOVE the scent, and my hair always feels fresh, clean, hudrated, and nourished after each use, and all for a great price! Extremely happy with these products. Rated 5 out of 5 by L123456789 from A Little Goes a Long Way! I've been using this conditioner for a week now, along with the shampoo, and I'm very happy. You just need to use a little bit and my hair is easier to detangle, is soft, has a nice shine, and the scent of amazing!! 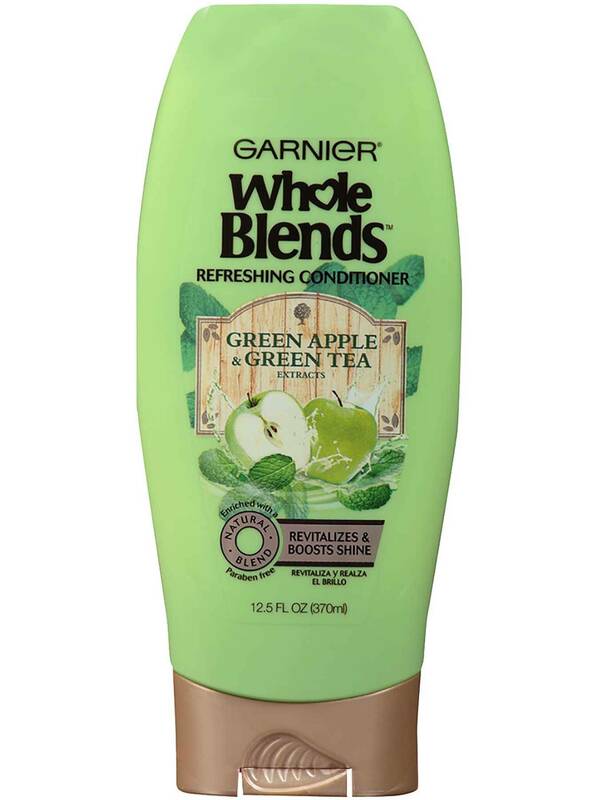 I would love if Garnier would make a volumizing version as my hair does seen limp and flat. Otherwise great shampoo and conditioner collection! Rated 5 out of 5 by Virginia02 from Shine I love this conditioner so much. It leaves my hair shiny an soft an manageable. I have wavy sometimes dry hair An this makes it look and feel wonderful. I love that I can go two days or so with out washing my hair . I don’t like to wash my hair everyday An this doesn’t make my hair oily. Rated 5 out of 5 by Cosmo from Amazing! This conditioner works great on my hair! I have wavy, fine, long, frizzy hair. My scalp and face are naturally very oily. Which makes my hair close to the roots very oily. This conditioner moisturizes my hair, but not too much. It does Not make it look greasy. When paired with the matching shampoo, my hair looks and feels like silk. Please don’t discontinue this, or change it. Rated 5 out of 5 by Tat2brat from Love the clean, fresh apple scent Leaves my hair smelling great all day! Hair feels clean and lightweight after rinsing. 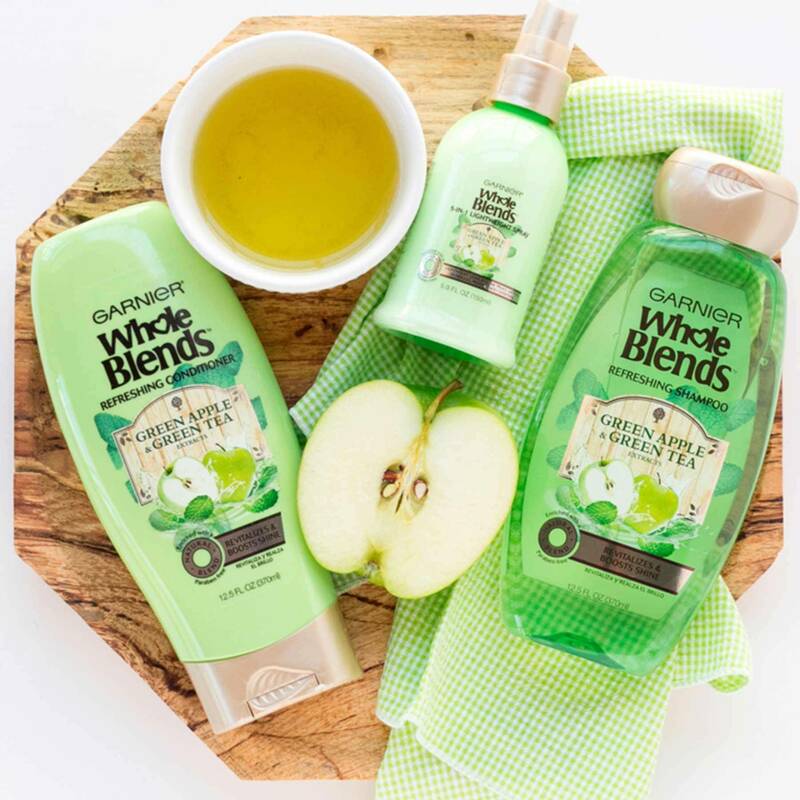 Rated 5 out of 5 by jebb from SMELLS AWESOME AND BOOSTED SHINE I have curly hair that can be hard to tame sometimes and not only does this product make my hair feel manageable and soft, it smells just like apples!! I've gotten many compliments from my significant other on how great my hair smells :) Would definitely recommend to my curly girls out there!